In 2018 Nizhnekamsk tyre plant, an affiliated company of Tatneft’s tyre business, celebrates its 45th anniversary. One of its high-tech brands – Viatti – attracts more and more loyal users year by year both in Russia and abroad. 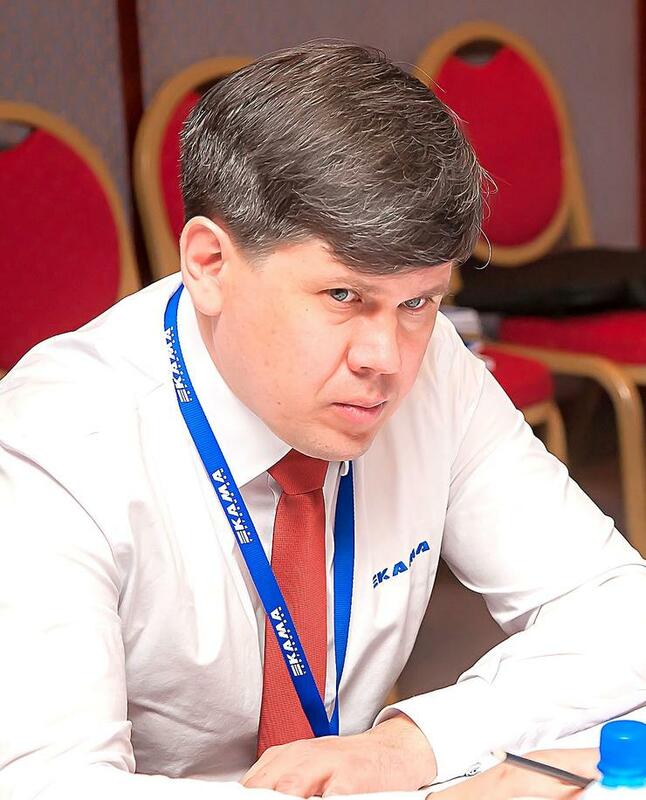 Nevertheless, the brand has remained in the shadow of famous competitors until recently ... A correspondent of AvtoVzglyad web-portal talks with the Chief Marketing Officer of TD KAMA Andrey BOUTON about the history of the brand, its successes in Russian and global markets. We know about the history of Viatti not so much: the Italian name, modern design, and characteristics ... What is behind it? In the early 2000s, the mid-range car segment was flourishing in Russia. However, the well-known, low-maintenance and reliable KAMA tyres of Nizhnekamskshina plant, installed on all VAZ models, no longer satisfied the owners of more perfect and technically sophisticated cars. The management of the parent company – Tatneft – set the goal to fulfill the wishes of that category of customers, entering the market with fundamentally new products. Scientific & Technical Centre KAMA developed a model range and tyre specifications, some of them in cooperation with a famous Italian manufacturer. Then, the plant bought modern robotized lines that global tyremakers used. Yes, it was a rather high-cost thing, but it was well worth it. 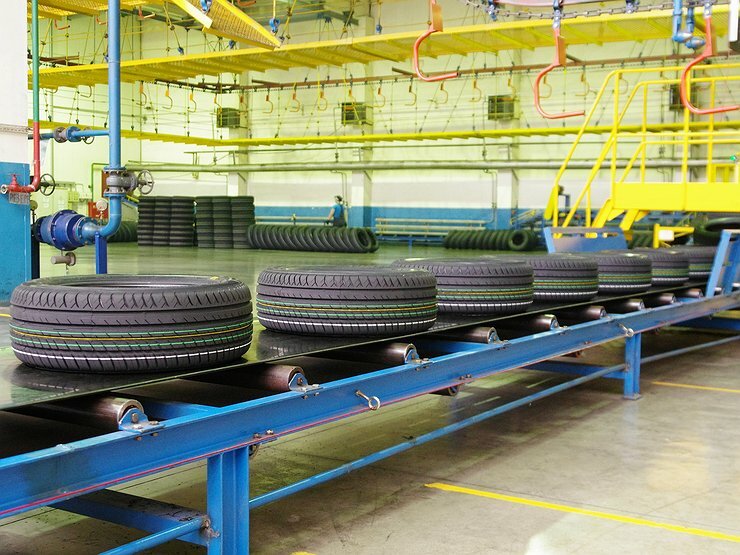 As a result – the first batch of new tyres came off the production line in 2009. Whatever the name, we proudly state that the Viatti tyres are our domestic product with its own “special” rubber mix, production peculiarities, authentic characteristics, and, of course, design. That's right, only there are some differences between retail sales, and tyre supplies to automakers. Few people are aware that the requirements manufactures specify to the tyres installed on their cars as a factory package are much higher than a retail customer does, and, first of all, it comes to safety for amateur drivers. Each automaker make pretests its cars with different reference tyres. They have no names, only indices, to eliminate the bias. So, after such tests, we know for sure that by some parameters Viatti tyres equal or exceed the samples of the global competitors in mid-range segment. It should be understood that, ideally, each particular brand and car model need its own tyre, so many automakers order homologated tyres. Besides, you should consider your own driving style, external operating conditions and much more. So, a universal tyre, for example, equally perfect for both sedans and SUVs/CUVs, is rather a myth. And the price of such a product would be much higher than average. Nevertheless, Viatti tyre is hugely better than products of many competitors on survivability, reliability, safety and durability, especially of sidewalls. Not only modern equipment, but components of high-quality are the key to any successful production. Where do you buy rubber, carbon, or cord materials? How is your quality control system arranged? Natural rubber is imported from the South-East Asia, synthetic rubber and carbon are domestic (of Nizhnekamskneftekhim). Cord fabric and thread are from different suppliers, in particular, Turkish ones, metal cord is from Belorussia. But all these components are tested hard and homologated in our Scientific & Technical Centre before we use them for our tyre production. Every batch of the components is checked just before delivery to the production line as well. Every tyre undergoes internal checking at almost every stage of production. We have a great number of various devices for dynamic and static checkout, including X-ray machines. If a tyre overruns the set-up parameters, and if it cannot be modified, it is to be recycled. Additionally we use visual checking for all tyres delivered to car makers to detect hardly visible aesthetic defects – scratches, poor visible marking, laps. They do not affect the characteristics, but, nevertheless, the carmakers’ requirements for the tyres are very strict. What carmakers do you supply Viatti tyres? We work side by side with both Russian and global carmakers, having a production in Russia. We supply tyres for their cars of factory package. Currently, we’re negotiating with some other global companies. But, our future partners make more severe requirements. They’d like to have a wheel with tyre. However, we are also ready for such supply conditions. There is a wheel manufacturer in our region. Export capability is one of the indicators of product competitiveness. How many Viatti tyres do you export? Producing 2 million tyres in 2017, we exported about half a million tyres in almost all the countries of the CIS, Bulgaria, Romania, Czech Republic, Slovakia, Lithuania, Serbia, Bosnia, Hungary, Germany and Iceland. In the latter country, for example, one of the car rent companies has changed over to Viatti winter tyres. All tyres to Scandinavia we sell with a Belgian company Deldo. We plan to deliver this company about 30,000-50,000 Nizhnekamsk winter tyres. North Americans are also ready to buy Viatti summer and winter tyres. Does you have any channels to get feedback from your customers? Once every six months we make a survey of our dealers. In addition to common customer satisfaction score, we monitor ideas on both product range expansion and quality. In the first case, we talk about new standard tyre sizes that we can launch. There are no problems with quality of Viatti tyres. At least, we have not received any claims from dealers yet. However, the end customer can either call our Hotline or send a request from our Viatti website. 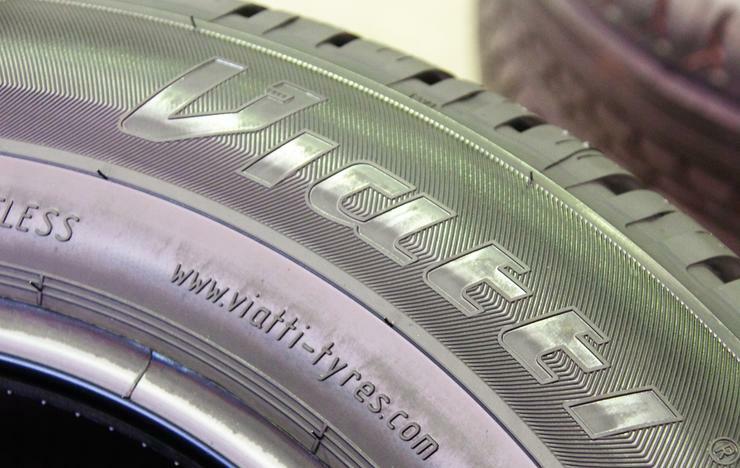 What is the tyre mileage for Viatti products? Under forced operation conditions the mileage is about 50,000 kilometers. But it should be remembered that the tyre tends to age. While it may look like new, its characteristics will be completely different in 5-6 years from the production date, especially if direct sunlight hits it. Winter tyre life is 3-4 seasons. Constant changes in temperature and humidity, that is typical for our climate, affect the lifespan of the product. One more thing to be considered, regardless the brand. International standards for tyres clearly define the minimum grip performance on dry and wet surfaces. The soft tyre has better performance, but its mileage is less than that of the models that are more rigid. How often do you renew your tyre model range? Currently, the tyre range includes eight line-ups. There are about 370 items in total, covering almost all the main categories of vehicles, including light trucks. There are objective reasons for this. In particular, we are in the modernization of production, and some of our lines still produce tyres of other brands. Already on May 23, we will launch a new workshop for preparation of rubber mix. In the short term, by 2020, we’ll renew our current model range, and then we’ll do it every three years.